English fanpage by Christopher Allan. German fanpage by Christian Riedel. 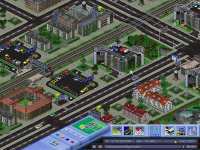 Mobility is a SimCity-like game emphasizing traffic. It is part of a research of the university of Weimar, so the algorithms are no phantasy products! The game is freeware and highly addictive. IMHO it is better than JoWood's Traffic Giant. Simu is a TT-clone, which is under construction. Already impressing. Not the graphics but the economy system and the AI. A6 A japanese version of 3DTT! As it seems it's a new version of A-Train or A4-Networks, unfortunately I don't understand Japanese. The screenshots are looking great, doesn't they? 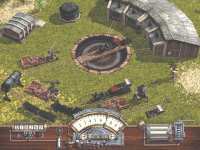 No Railroad Tycoon in 3D, but a resource-management-game in which railroad building is done in the Wild West. On the maps you can find wood, ironore, gold and oil. You need to build factories for processing them, so you need workers, workers need food and so on. Finally you also need to build up your military to protect against Indians. The release date should have been autumn 2000, since then there didn't happen much, only the website disappeared. I'll let the link live, maybe they are just updating. Here you can build the model railroad of your dreams and run many types of vehicles (mostly trains of course =). The technology is very outdated but a new version of the program is announced. 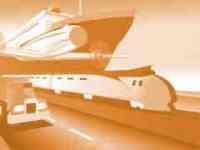 A mixture of driving and business simulation. If 19 MB download is no problem, you can take a look at the demo. The graphics are very outdated, updates are NOT planned - yet. The price of 59$ is a bit heavy, even more heavy are the 99$ you've to pay for the editor. Homepage of Nicholas Anderson, the eternal 3D-landscape programmer. He is still planning his game "Knights of Caladan", of which we can see a screenshot on the left. 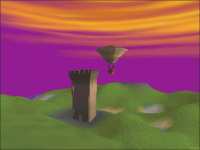 You can download his 3D-engine with sourcecode and see next to hills and towers a nice flying object. 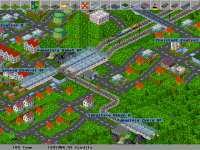 Here you can find everything about Transport Tycoon. A British railroad-site with links to railroad software, photos and infos about English railroads. Hugi is a diskmag, once completely in German, meanwhile completely English.